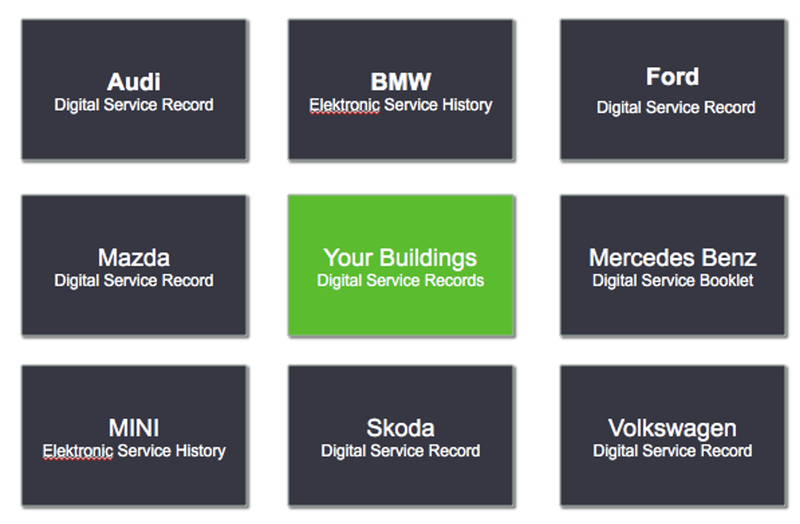 Your car has digital service records, why not your buildings? Shared digital service records add resale value to your car, and allow manufacturers to deal with warranty and recall issues, while allowing factory and independent service providers access to past service history and faults requiring service. Putting all your building service records in one place seems like a logical thing to do, and many owners have tried to do it themselves with computerized maintenance management systems (CMMS). But for most building owners, maintenance management has been an expensive, labour-intensive failure, gathering too little data, often weeks or months late. The solution is to have the service providers access a common digital service history for each building, including the spaces, systems and equipment throughout. BuiltSpace has created that solution, putting your buildings in the cloud, and allowing you to share access with your preferred service providers. It’s easy and inexpensive. As a service technician changes the air filters in an AHU, the building owner can see the time stamped, and geo-located, service event online. It’s easy to connect your HVAC, electrical, plumbing, security, cleaning, fire protection, and the dozens of other specialty services, to your buildings, with our easy to use app. Service records are created as the work is complete, in real-time, while cutting the cost of maintaining maintenance service records by about 90 percent.